The Israeli elections are done and the results are not surprising. 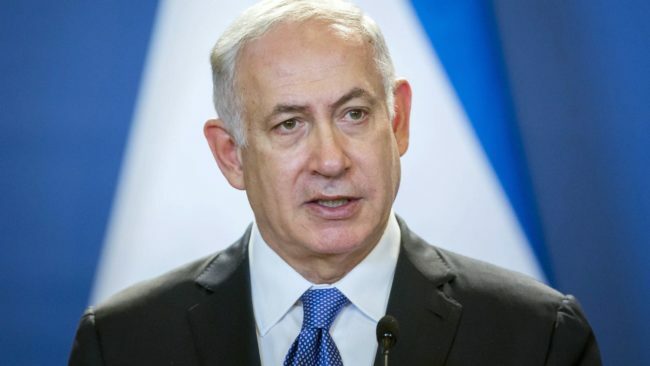 Just as in the U.S. which elected Trump despite his known character flaws, Netanyahu will probably form the next Israeli government, led by himself. This is despite his indictment for corruption and since the rules of the Knesset do not bar someone from being a voting member even though he/she may be in prison. Bibi may be the first person to lead a country from a prison cell. Both the Likud ( Bibi’s party) and the Blue and White party ( Benny Gantz party) tied with 35 Knesset seats each with Netanyahu able to cobble together a right wing platform by bringing in some of the smaller right wing parties The final coalition looks like it will be Likud,(35 seats) Shas,(8 seats) Yisrael Beitenu (5 seats) United Torah Judiasm (8 seats) United Right(5 seats) will give Bibi and Likud 61 seats in the Knesset, a very slim majority. Like Trump, Netanyahu is a BIG personality and people seem to respond to that. Just like Trump used the “Mexico will pay for the Wall” and “Lock Her Up” to energize their base supporters, Netanyahu announced just before the election that he will “Annex the West Bank”. Bibi us counting on Trump’s support to make that move just as Trump unilaterally decided to give the Golan Heights to Israel. Benny Gantz, a former chief of the Israeli Defense Forces (IDF) is considered a Lion in Israel’s defense. He formed the Blue & White Party ( the Israeli Flag colors) which was considered somewhat centralist. However, since it is impossible to for anyone in the current Israel political environment to be too centralist, Gantz threw out a number of comments to appeal to the right wing Israelis. This was a stupid move since it did not win him any favors from right wing Isrealis or their respective parties, it turned off the parties that would otherwise help him form a governing coalition. The Left Wing parties of Labor and Meretz along centralist Kulanu actually lost 20 Knesset seats. Benny Gantz’s flirtation with the right wing absolutely devastated the Arab party, Hadash-Ta’al which went from 6 seats to none. Arab turnout was abysmal. Arabs are 20% of Israel’s population and would constitute almost 13% of the electorate. Their voting public is of a much younger age than Israeli Jews so they don’t have as many people yet of voting age. If Arab turnout equaled Jewish then Hadash should have had 15 Knesset seats and would have easily put Gantz in the Prime Minister’s seat. So nothing will change in Israel, the economy is humming along well and news headlines will continue to shout about the evil Palestinians and Iranians with Bibi continuing to flatter Trump so he gets everything he ever wanted.